It has been replaced by the Digiwave DTV-5000HD HD/SD TV Tuner !!!! ZAT501HD Digital ATSC HD/SD TV Tuner HD Television Receiver!!!! Watch HDTV programs on your big screen HDTV display. Watch ATSC digital TV on your regular, and on your PC monitor TV. 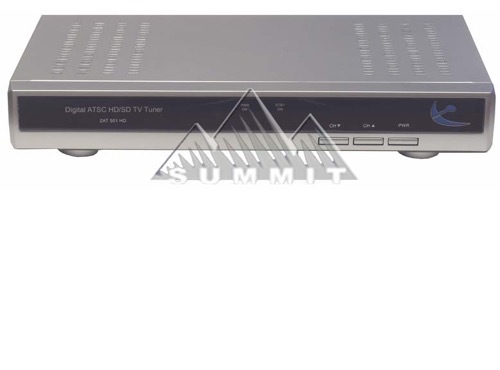 High performance, multi-standard video decoder (480i, 720p, 1080i). HDMI output provides the highest picture quality. Full movie quality sound through Dolby digital or pass through for connection to home theater system. This unit features an easy to use on-screen menu, parental control, closed captioning and remote control. Please Note: This set top box is not coupon eligible.